Cost: Education is not cheap. Whether you’re paying your own way, others are paying, or you’re considering aid, make sure you understand the investment required. Time: Adding classes and homework to your schedule as an adult, even part time, is a lot different than college. Odds are you’re working, have a busier social life, and possibly family commitments. Energy: There’s a rumor about grad school instructors. Students think we are super flexible (for example, not coming to class or handing in assignments late because of work or family commitments). In fact, I’ve been asked during admission events if we let things “slide”. The answer is no. We expect if you’re in school, you’re going to put in the work required (depending on the program, sometimes that’s up to 20-30 hours per week). You intend on changing careers: If you have no experience in PR, but you want to work in the field, a master’s degree would be helpful to gain necessary background, insight, and both hard and soft skills. 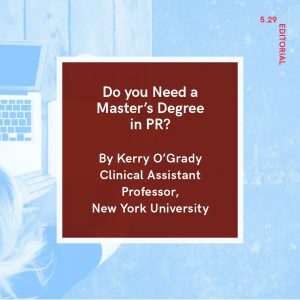 You can’t do parts of your current job: If you are currently in PR, but have been told you need improvement in specific areas, an advanced degree may be a good idea. 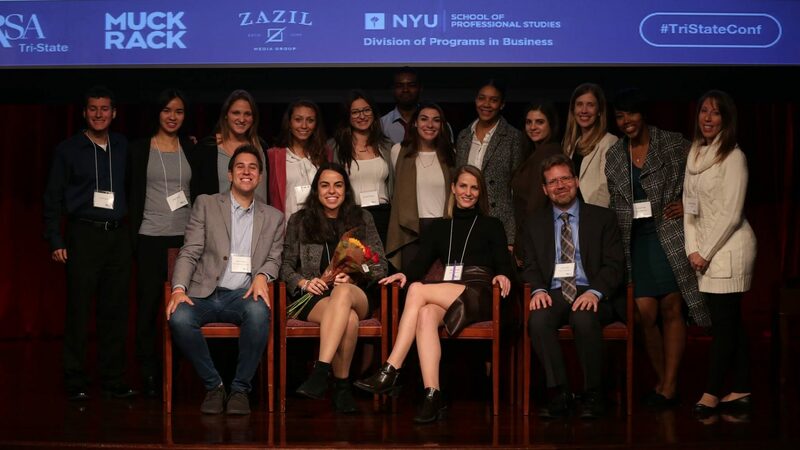 It’s something you’ve always wanted to do: If you’ve always dreamed of an advanced degree in PR, you should absolutely go out and get one. You don’t know what else to do with your life: You should never embark on a degree just because you’re confused or want something different (yet, don’t know what that “different” is). Take the time you need to figure out why you don’t feel fulfilled or happy, first. You want a raise: Unfortunately, having a master’s degree is not a guaranteed raise. It’s nice to have, but it won’t necessarily immediately yield a larger paycheck just because you have one. You want a promotion: Same as a raise. Getting a master’s degree in PR does not immediately correlate to a promotion. However, the degree will absolutely make you more specialized in PR, thus, will make you more qualified for more responsibilities. In short, you’ll perform better at work (and thus, possibly earn an indirect promotion). Getting a master’s degree in anything takes a lot of time, money, sacrifice, and energy. If you do decide an advanced degree in PR is for you, take time to research the jobs you want, the skills they require, and schools that match. If you decide heading back to school isn’t for you, that doesn’t mean you should stop learning. Continuing your education through professional development will always make you more attractive to your current – and future – employer.